Amazon is offering up this Little Tikes Easy Store Junior Play Table for just $39.99 with free shipping (regularly $59.99) – it seats up to 4 kids and folds for portability or storage. Amazon are offering up this highly rated KidKraft Backyard Sandbox for just $129 shipped (regularly $249+). 这个放后院的沙箱很大，四角带椅子， 小孩可以坐着玩。 可以几个小朋友一起玩。 玩完了直接盖上罩子就行。This sandbox is large enough for multiple children to play at once, features reinforced wooden panels to prevent warping and weathering and comes with a mesh cover for when playtime is over. 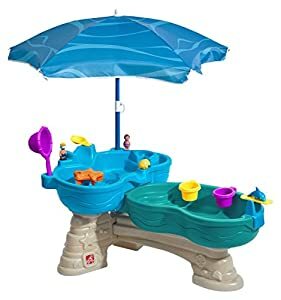 Amazon 现在 offering up this Little Tikes Fish ‘n Splash Water Table for just $28.60 (regularly $44.99) – best price around! Plus, get FREE shipping on $35+ orders OR snag FREE 2-day shipping (no minimum!) with Amazon Prime. Toyrus.com 现在这个 Little Tikes Cozy Coupe Sandbox 降价 for just $24.98 shipped (reg. $49.98)， 很适合现在买了，等天气暖和了，让小朋友们在后院玩。 By the way, this same sandbox is selling for $49.98 on Walmart.com with great reviews! 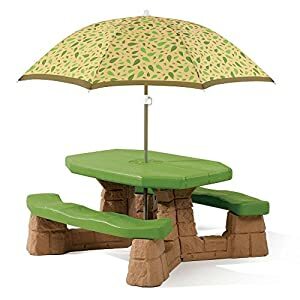 夏天是带小孩子们去沙滩玩的好季节。 现在 Amazon you can buy this Melissa & Doug Sunny Patch Seaside Sidekicks Sand Baking Play Set 小孩的玩沙玩具 for only $9.99 (regularly $14.99). 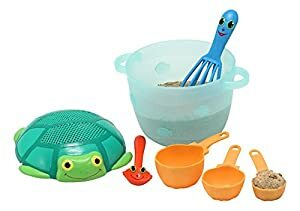 This sea-creature inspired baking set features shell-shaped measuring cups, an octopus whisk and crab mixing spoon and the turtle lid on the mixing bowl doubles as a sifter! Amazon 现在你可以get 这个降价的小孩玩水的 play table. 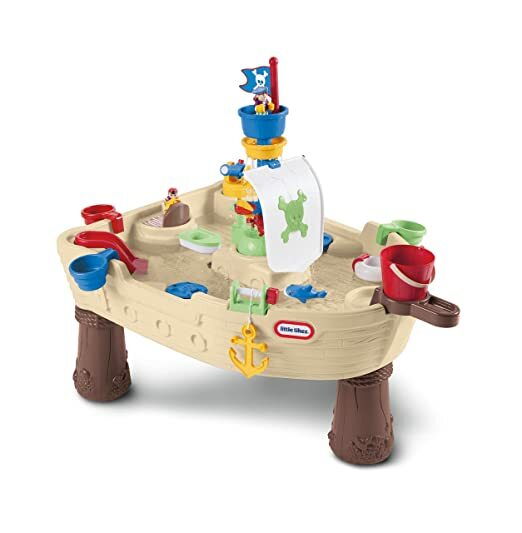 Little Tikes Anchors Away Pirate Ship Water Play Table 打折后 for just $30.54 (regularly $79.99). Amazon now they are offering up some great deals on Step2 outdoor tables, water centers and more! 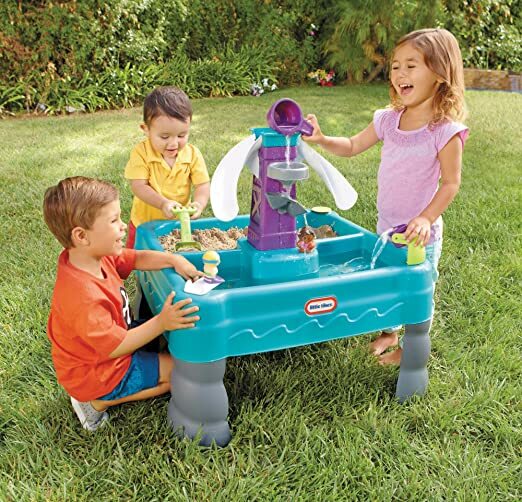 Walmart.com has Step2 Wild Whirlpool Water Table on sale for $17.45 when you select free in-store pickup. In-store pickup must be selected for the discount to apply. 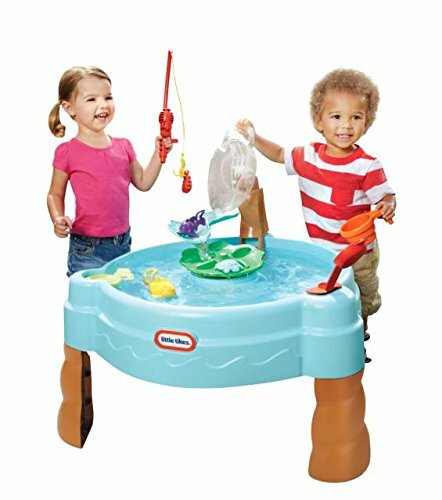 Walmart.com now this Step2 Finding Dory Swim & Swirl Water Table is marked down to just $27.88. Plus if you choose free in-store pickup, it will drop down to $27.60! This water table features 3 squirting Finding Dory figures and includes an 8-piece accessory kit – it also features a convenient drain plug that makes cleaning up a breeze. Amazon Prime Members! 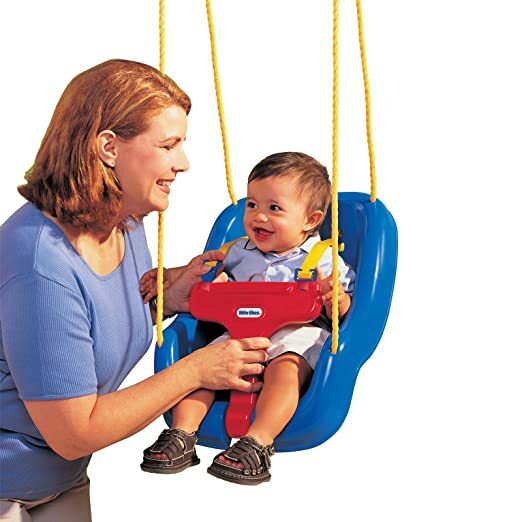 now go to Amazon and get this Little Tikes 2-in-1 Snug ‘n Secure Swing in Blue for only $15 shipped – BEST PRICE (regularly $26.99)! Amazon 现在 you can buy this highly rated Little Tikes Sandy Lagoon Waterpark Play Table in Teal/Green for the lowest price of $27.17 (regularly $49.99). Includes 2 characters, 2 inner tubes, 1 shovel, 1 cup, and 1 custom-fit plastic cover. What a great price! 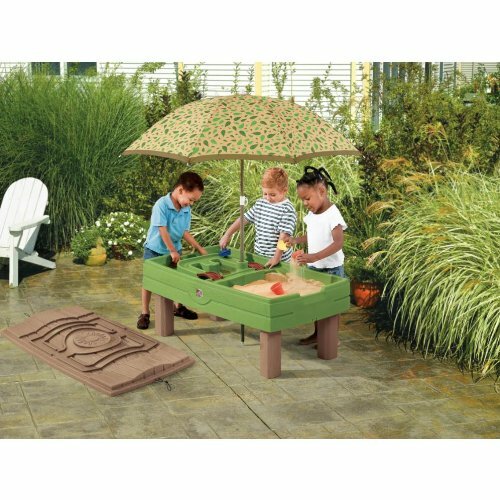 Walmart.com now you can get this Step2 Play & Store Sandbox for only $29.84 after the in-store pickup discount (regularly $42.27). 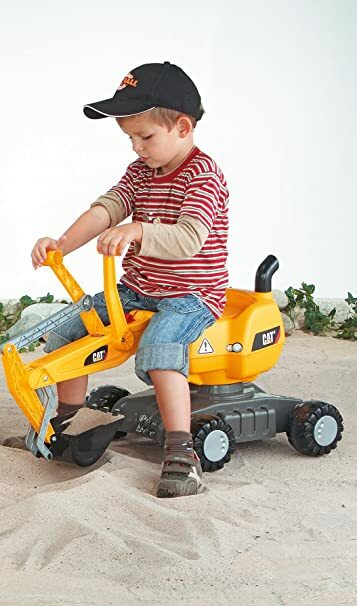 Or, go to Amazon and get this Sandbox for only $30.45 shipped (regularly $69.99). 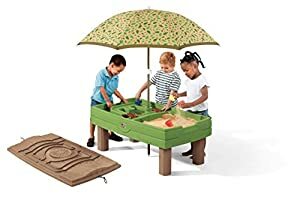 This highly rated Sandbox holds a whopping 200 pounds of sand and has built-in seats and includes a lid for weather protection. 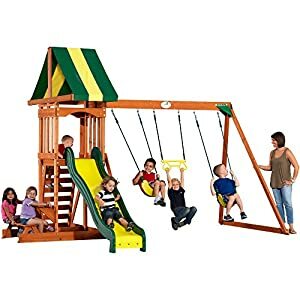 Amazon.com now get this Backyard Discovery Prestige All Cedar Wood Playset Swing Set for only $349.99 delivered (regularly $598.99). 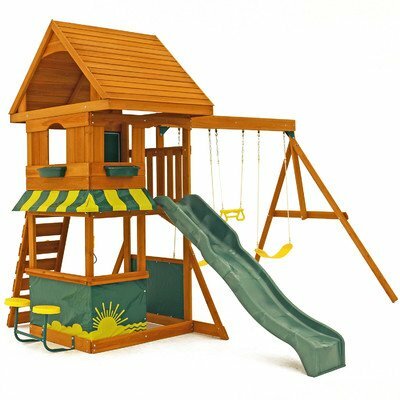 This wooden swing set features a playdeck, belt swings, trapeze swing, sandbox, 8-foot slide and a rock climbing wall and the upper deck has a colorful green and yellow canopy. 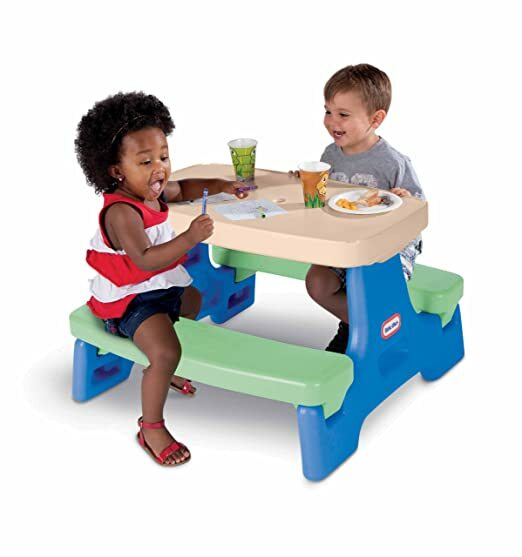 Your kiddos can even enjoy snack time on the wooden bench at the snack stand! Amazon.com now you can get this Step 2 Naturally Playful Lookout Treehouse for only $79.99 shipped (regularly $159.99) – lowest price ever! This playhouse features a shingled style roof that provides a shaded play area for your kiddos and has a fun slide and periscope for exploring. The large steps are perfect for young children to easily climb. Through tomorrow, January 9th, on ToysRUs.com you can now buy this Fisher Price Big Action Dig ‘N Ride for just $34.99 shipped (regularly $64.99). 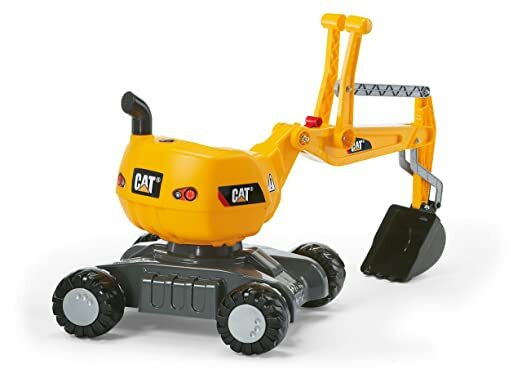 This fun ride-on toy has a crane that moves up and down and a bucket that really scoops! On Target.com you can now buy this Step2 All Around Playtime Patio with Canopy for just $139.99 shipped (regularly $199.99)! Today, March 24th only, Amazon is offering up to 30% off Playsets and Playhouses! On Walmart.com 现在这套纯木秋千套装 KidKraft Ainsley Wooden Swing Set 降价后 for just $249 (regularly $399)! Also delivery is free which is awesome considering this is such a heavy item. This swing set features a high-rail wave slide, a multi-colored rock wall for climbing and a shaded upper-level clubhouse with chalkboard tarp. And, underneath the clubhouse, there is a spacious sandbox. It is constructed of high-quality premium cedar lumber with a pre-applied child-friendly stain and comes pre-cut and pre-drilled for easier assembly. 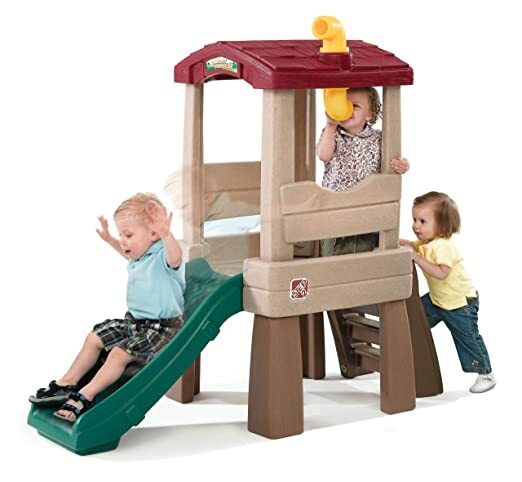 On Amazon.com where you can now get this Step2 All Around Playtime Patio with Canopy Playhouse for only $139.99 shipped (regularly as much as $199.99)! 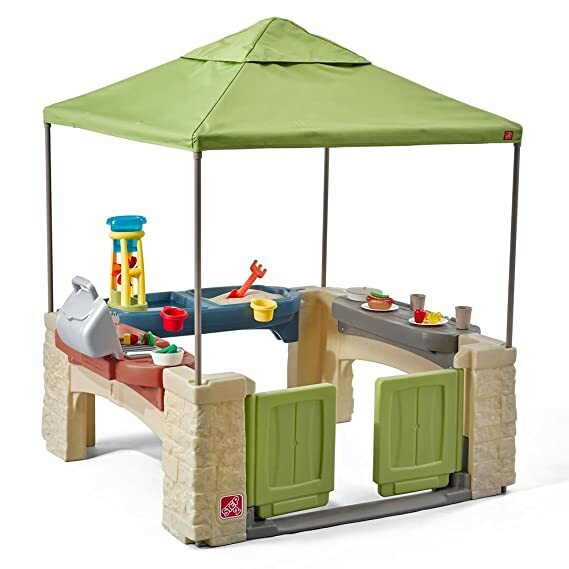 This super cute play set includes a kitchen grill with sink and swivel faucet, a sand and water play area with several accessories and a lid. It also features a snack table that has an included dish set as well as a spacious interior and a high canopy! On Amazon.com you can now get this Little Tikes Activity Garden Baby Playset for just $64.99 delivered. Designed for ages 6 to 36 months, this multi-functional play center helps infants develop fine motor skills. It easily transforms without tools into an open, two-sided play center and features a crawl-through archway, shape-sorter mailbox, working Tap-a-Tune piano, look through telescope and open-close window shutters that feature a ball drop flower pot. And the take-along play panel features a bead tumbler, spinner with mirror, spinning “gears” for gear play, clicking bugs, and a large button that plays songs when pressed.